In October 2016 the Swedish Academy finally conceded to a quarter-century's worth of clamorous petitions and sustained lobbying enacted by a chorus of poets novelists songwriters and academics. At long last Bob Dylan was awarded the Nobel Prize in Literature his vast corpus spread out like Highway 61 behind him. 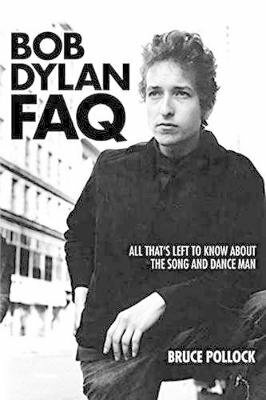 How is a Dylan debutante to make sense of the song and dance man's six decade career? How might a diehard Dylan fanatic stumble upon something they didn't know they didn't know? Why with award-winning journalist Bruce Pollock's EBob Dylan FAQE of course!THEBob Dylan FAQE the latest installment in Backbeat's FAQ series condenses the life and times of America's premier songster into an addictively vivacious 400-page brick jam-packed with critical analysis minutiae photographs ephemera and period history. Every aspect of Dylan's life and career from his ever-expanding discography touring history fallow periods literary and visual artistic efforts peers influences and legacy to his devoted fanbase is explored. Best of all the book's structure invites perusing at any random point as each chapter serves as a freestanding article on its subject. Dive into Dylanana with EBob Dylan FAQE!